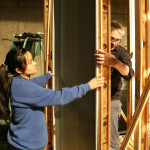 PULLMAN, Wash. – School of Design and Construction students are applying skills they’ve learned in class to help build sets for the Washington State University Performing Arts (WSUPA) spring theater production. “One Flew Over the Cuckoo’s Nest” opens Friday. 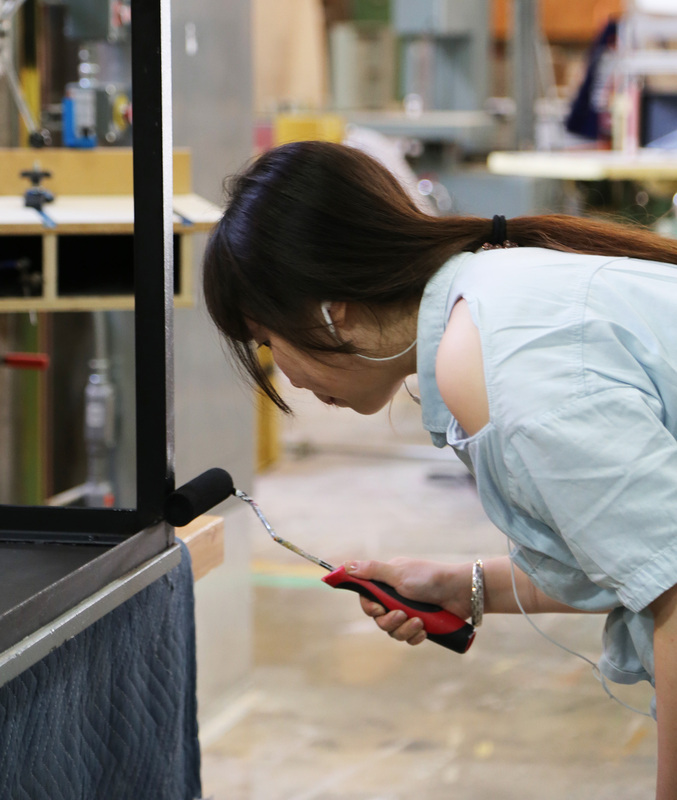 The real-world project demands teamwork, rigorous attention to detail and strict adherence to budget and time constraints, said David Drake, set designer and manager of the school’s fabrication labs. It offers professional expertise and equipment (including digital fabrication with 3D printing, laser cutting and computer-controlled milling) previously unavailable to WSUPA productions. Last year’s collaboration, for the play “Rosencrantz and Guildenstern are Dead,” won a Meritorious Achievement Award from the Kennedy Center American College Theater Festival for Drake and his student assistants. This year’s production will also be submitted to the festival. 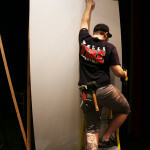 Architecture 499: Theater Set Design-Build is taught by Drake. His students assisting with the set and props are Leah Engelhardt (architecture), Xie Jingxian (architecture), Bryce Park (religious studies) and Ann-Jeanette Seymour (interior design). The play, directed by Ben Gonzales, is based upon the Ken Kesey novel as adapted for the stage by Dale Wasserman. Learn more about the WSU performances at https://news.wsu.edu/2015/03/12/april-3-11-one-flew-over-the-cuckoos-nest-at-wsu/#.VRXIvk10yfA.